The Alibaba earnings report will be released tomorrow (Wednesday) before the bell. And there is growing interest in the Alibaba Group Holding Ltd. (NYSE: BABA) earnings report as Alibaba stock has now climbed 19% in the last three months. The Chinese e-commerce company is expected to post earnings per share (EPS) of $0.70. That's up sharply from $0.57 in the same quarter a year ago. Revenue is projected to come in at $5.054 billion, which would be a 45% year-over-year (YOY) increase. Alibaba achieved a higher monetization rate from mobile users than its traditional users last quarter. And that was the first time that had happened. Alibaba's mobile revenue represented 2.8% of its total mobile gross merchandise value (GMV) in Q2 2016. That surpassed PC's 2.78% rate and was up from 2.33% last year. Morgan Stanley (NYSE: MS) says Alibaba's monetization rate could benefit from the company capturing a larger portion of the online advertising market. According to the firm, Alibaba offers a "one-stop solution for brands and merchants by connecting the entire value chain of digital marketing and digital commerce." That allows for more efficient and targeted online ad spending. In 2015, Alibaba captured 5.1% of the worldwide digital ad market. That was up from 4.5% in 2014, according to eMarketer. A growing Chinese middle class coupled with faster internet service and a greater mobile presence helped Alibaba to capture more than one-third (35.8%) of the $16.5 billion mobile ad market in China in 2015. That was up from 26.4% in 2014. Alibaba's ad revenue, particularly from mobile, shows no sign of slowing down thanks to solid growth from the e-commerce retail business. Alibaba is expected to take a larger share of digital ad revenue than Chinese internet search giant Baidu Inc. (NYSE: BIDU) in 2016, according to eMarketer. Mobile monthly active users in June reached 427 million. That was an increase of 17 million over March 2016. Annual active buyers on Alibaba's China retail marketplaces increased to 434 million, a net addition of 11 million annual active buyers from the prior quarter. Alibaba's cloud segment said it had more than 2.3 million customers as of March 31, 2016. Of those, more than 500,000 were paying customers. Revenue in the space grew 157% YOY in Q2 2016 to $187 million. In January, AliCloud inked a $1 billion partnership with chip and graphics company NVIDA Corp. (Nasdaq: NVDA) to bolster its big data and deep learnings systems. Goldman Sachs expects AliCloud to be profitable by 2018. Last month, AliCloud management announced price cuts of up to 50% on its products, which the company said reflected "scalability and operational efficiency improvements." The price cuts are expected to result in demand and revenue expansion for the cloud segment. Alibaba continues to grow in a variety of industries. Earlier this year, it paid $1 billion for Southeast Asian online retailer Lazada Group. 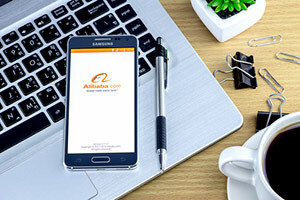 Alibaba's financial affiliate Ant Financial continues to move its Alipay mobile payment system into new regions. Credit cards are not as widespread in China as in the United States, and many Chinese consumers have turned to Alipay for mobile transactions. Mobile transactions in China more than doubled to $235 billion in 2015, making China the world's biggest mobile payment market. The Wall Street Journal reports that Ant could eventually be a rival to credit card goliaths Mastercard Inc. (NYSE: MA) and Visa Inc. (NYSE: V). Option traders are gearing up for volatility ahead of Alibaba's earnings report. The current implied volatility stands at approximately 37%, which is 46% higher than the stock's historical volatility over the past 30 days. The options market is currently pricing in a move of about 5% in either direction after BABA's earnings. At $101.05, the Alibaba stock price is up 24.36% year to date. We've been bullish on Alibaba stock for more than a year and maintain that stance. But given the stock's volatile nature, shares are best suited for investors with some risk tolerance and a long-term outlook.